According to M&C Saatchi Abel, 2018 was an eventful year, with the agency winning several awards, including six Creative Circle Ad of The Month Awards, an Apex Award, 10 Loeries (including a Grand Prix for the Nando's '#RightMyName' campaign) and an Epica Award. Here, the team at M&C Saatchi Abel share their insights. In addition, the company’s founding partner and CEO, Mike Abel, was named as Business Achiever of the Year at the ABSA Jewish Achiever Awards. M&C Saatchi Abel itself was also listed as one of the top five creative agencies in the country in the Loeries 2018 Official Rankings. Abel says, "It’s great to have won these awards, as they mean that outside organisations are acknowledging that what we’re doing is good. We won these awards by trying, since our inception, to be a force for good in society and, together with our clients, making a positive contribution where we can." This is evident in the work of the Nando’s '#RightMyName' campaign, which alone won 11 awards in 2018. The campaign successfully drew attention to the issue of spellcheck telling millions of people daily that their names are a mistake. Not only were local celebs called upon to add their voices to the campaign via videos on social media but, in a media first, Nando’s got the go-ahead from the country’s biggest newspaper, Sunday Times, to underline South African names in their editorial content, which fired up discussion across the nation. As a result of the viral videos and the Sunday Times stunt, the '#RightMyName' campaign saw more than 70 000 people adding their names to a database, which was made available for download on Human Rights Day, making computer dictionaries more inclusive so that nobody is made to feel like a mistake again. "This campaign formed part of Nando’s' quest to contribute to the broader dialogue of South Africa through highlighting typically South African challenges, like local names still being spellchecked as errors – something that Nando’s, despite being around for over 30 years, encounters too. '#RightMyName' shows that we don’t have to accept things simply because ‘it’s the way it’s always been done’, and that we have the power to create change," adds Abel. As part of its quest to be a force for good in society, M&C Saatchi Abel celebrated World Street Store Day on Sunday, 9 December 2018 – four years after it initiated the world’s first rent-free, premises-free, free ‘pop-up clothing store’ for the homeless– by putting up the world’s 844th Street Store. The aim: to help restore dignity to the homeless and spread some happiness. "Following the very first Street Store on the streets of Cape Town in 2014, we made the materials we designed available online for download so that anyone, anywhere could host a street store in their community," Abel adds. "It has since spread internationally, with our artwork and guidebook being translated into 15 languages and almost a million people being clothed with over three million items of clothing that were donated,” says Abel. Another major highlight in 2018 was leading a consortium, which won a bid to design a new precinct for Nelson Mandela Bay to honour Madiba’s contribution to South Africa, as well as elevate the city’s status as a hub for socio-economic transformation, tourism and employment opportunities. The city hosted a competition open to all South Africans to submit their ideas, but it was the Nelson Mandela Bay Tower of Light concept – a 27-story high interactive museum – that ultimately won. Abel says that the secret behind the agency’s success with these, and all its other campaigns, is love. "It is love for our people, our clients and the work. We love what we do and we love brilliant ideas that can transform businesses and contribute meaningfully to society." He adds, "Our partner model of having very senior, trusted and highly capable people working, ego-free, alongside each other, has allowed our clients and staff consistent access to the most proven brains in the business who are fully engaged in what they are trying to achieve." In fact, several of the people have been ranked amongst the country’s best and brightest in their particular roles, according to the Loeries 2018 Official Rankings. Founding partner and executive creative director Gordon Ray was named as one of the top three ECDs in the country and founding partners and heads of strategy Robert Grace and Makosha Maja-Rasethaba were both listed amongst South Africa’s top three strategists, while creative partner and chief creative officer Neo Mashigo was ranked among the top 10 in his area of expertise. 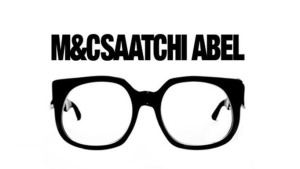 Regarding what makes M&C Saatchi Abel leaders in the industry, Abel says, "At the end of the day, it’s about the results. That’s how people become leaders – by a proven ability to do stuff. In sport, it’s about scoring and contributing to consistent wins." "In our business, it should be measured by how we have helped grow our clients’ top line, market share and brand equity. We believe these are the measures that have gotten us to where we are today – our real and proven ability to help our clients," he adds. At the core of everything, the company adheres to its business philosophy – Brutal Simplicity of Thought. For Abel, this means being focussed and not distracted by the superfluous. "We have four simple areas of concern – happy clients, happy people, happy work and happy money." "We make sure that our team members are engaged and inspired by providing an environment where they are liberated to be themselves and bring their full talent to bear. We hold ourselves accountable for developing relevant, original and impactful communication that translates into ROI," he says. "Lastly, we run a profitable company, guaranteeing returns and growth for our shareholders and stable employment for our staff. All these are our clear and simple focus," Abel adds. Looking to 2019, Abel says that more audacious and unexpected ideas and business solutions can be expected from the agency. He also expects another tough year for the industry and country, especially with the upcoming national elections, a pending Brexit and another year of Trump’s antics, all of which will deliver more uncertainty and complexity in a world where emerging economies are hardest hit. "Markets will continue to be shaky and there will be little money in supply. Our only choice is to make the best possible lemonade, as we’ll be getting lots of lemons," he says. Despite a dreary outlook for the year ahead, Abel says that he and his team will continue to make their vision of becoming the most desired creative company on the African continent (and beyond) a reality. "We will do so by continuing to create beautifully simple solutions for an increasingly complex world." For more information, visit www.mcsaatchiabel.co.za. 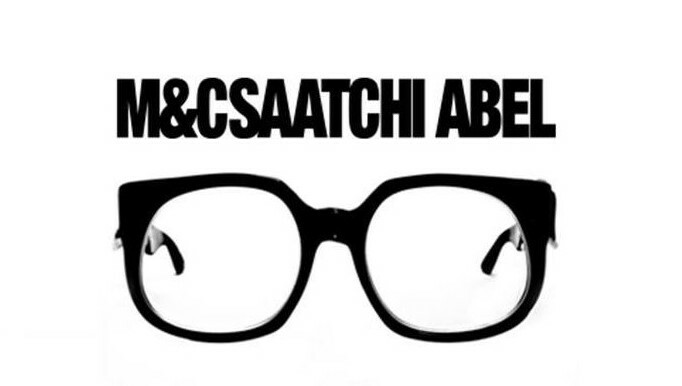 You can also follow M&C Saatchi Abel on Facebook or on Twitter.